Las Vegas has almost as many steakhouses as it does slot machines. 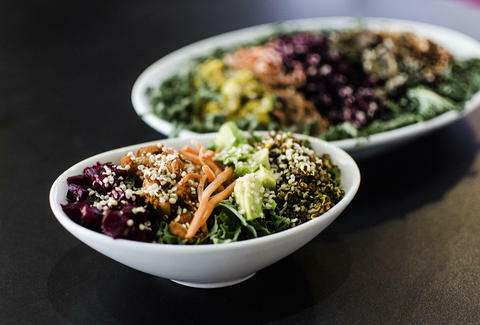 But sometimes, skipping the meat isn't so bad, since Vegas also has more than a few genuinely great vegetarian dining spots for those looking to eat clean in between all the dirty behavior in Sin City. 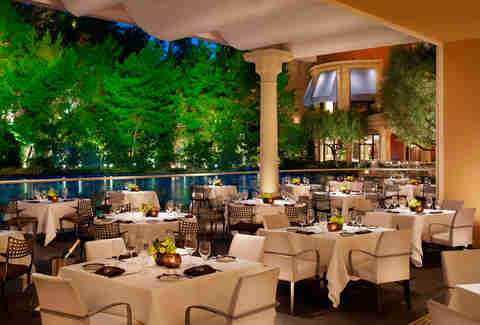 Ask around for a vegetarian restaurant in Las Vegas, and VegeNation will be among the first ones mentioned. 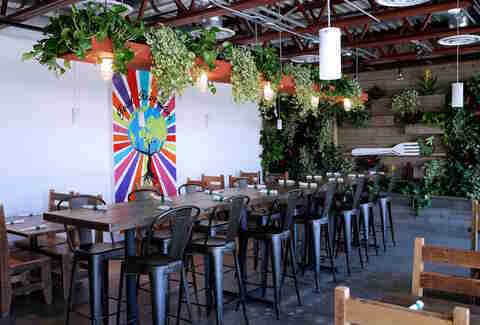 The food is 100% plant-based and features locally sourced ingredients whenever possible, including the herbs growing from an indoor garden hanging off the wall. The idea is to recreate street food in alternative vegan forms. 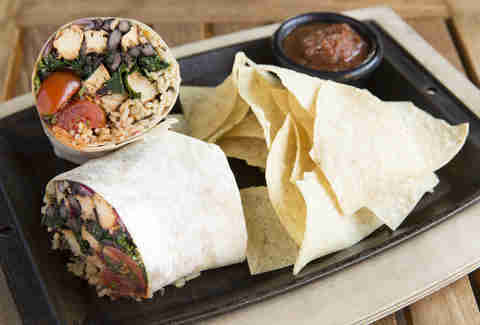 Thus, you get tacos, sushi, burgers, and other cool stuff without any of the meat, eggs, or dairy. There's even a brownie sundae, featuring a brownie made from black beans. After first opening inside the LGBTQ resource facility known as The Center, the Bronze Cafe opened a second Downtown location, taking over The Market neighborhood grocery store on Fremont Street. About 75% of the menu at both spots is vegan, including the pastries. Among the favorites is The Tree of Life, an open-faced pita sandwich that's loaded with fruit, but has the taste and feel of a vegetable dish (and yes, a tomato is a fruit). 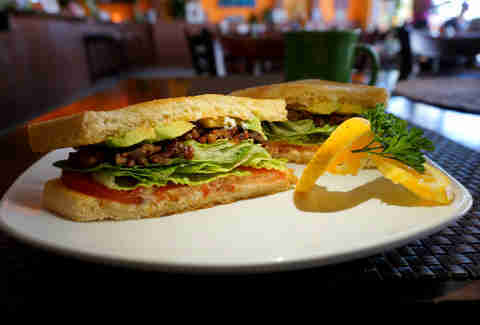 Wheel of Fortune fans will want to order The RSTLNE, a meatless spin on a BLT with a "bacon" jam made from coconut. The idea here is to make comfort food as clean as possible, with burgers, burritos, and pastas given the full-on vegan treatment -- for example, a BBQ sandwich made with jackfruit in place of pulled pork. We recommend eating outside by the water fountain. The Go Vegan Cafe also shares a building with a yoga studio and a sensory deprivation tank, so you're definitely in the right place to get your health kick on. After working in artist development for Universal Music, chef Stacey Dougan moved to Atlanta and then ended up in Las Vegas, where she started her own vegan restaurant at the Downtown Container Park. She struggled to stay open, and was about to shut down, until former president (and famous vegan) Bill Clinton paid a visit earlier this year. The attention led to a meeting with Hillary Clinton, and business has been booming ever since, which is good news for a small restaurant with just 10 or 11 seats. Apparently, Bubba had an appreciation for the vegan lasagna and zucchini pasta with cashew alfredo sauce. Located on the second floor of a Chinatown strip mall, Veggie House comes with a sign and a stern warning on the front door that says, "Please do not bring in any meat or seafood to this restaurant" -- leaving no doubts about the nature of the menu. 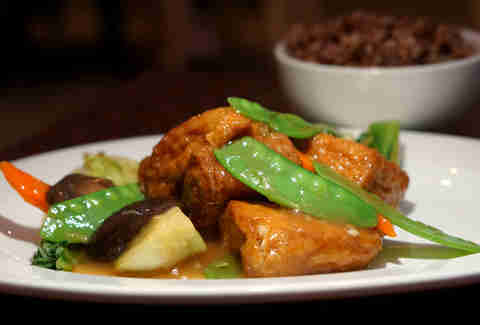 That includes items like the crispy beef and kung pow chicken, which are made with soy and other meat substitutes. The kitchen is run by chef Kenny Chye, formerly of San Diego, who also has plans to open a drive-thru vegan burger joint later this year in the southwest valley. 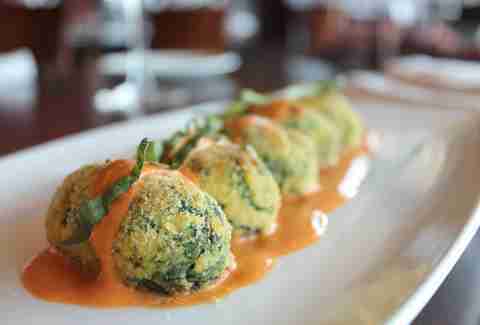 One of our favorite Italian restaurants in Vegas offers completely separate plant-based menus for both lunch and dinner. 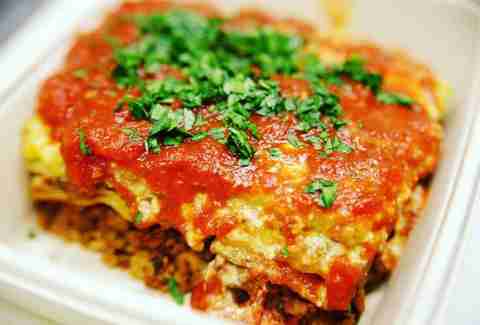 Stuffed pastas like the spinach dumplings and ravioli are made with a "ricotta" that's completely dairy-free, while the "meatloaf" is made from organic legumes, mushrooms, and herbs. And if you still find it hard to break the habits of a carnivore, try the vegetable burger, made with mashed potatoes, eggplant, mushrooms, bell peppers, and breadcrumbs with white truffle oil drizzled on top. A vegetable broth is served on the side in place of French fries. Violette's Vegan is an organic juice and smoothie bar with great food at any time of day. The breakfast menu is heavy on tofu scrambles, tacos, and burritos served alongside tempeh bacon strips and plant-based sausage (with free coffee thrown in for good measure). The lunch crowd leans towards sandwiches, salads, and meatless burgers, while a lemon scampi made with vegetables and tofu -- or a seitan beef & broccoli -- are both perfect for dinner. Wait. Hold on. Why is a steakhouse on this list? OK, it may be known best for its red meat, but SW Steakhouse could be the best place for a vegetarian to enjoy some fine dining on the Strip. That's because every restaurant at the Wynn and Wynn Encore resorts is required to have a full vegetarian/vegan menu on standby. So instead of an 18oz rib-eye, sink your teeth into a full serving of roasted corn quinoa cakes, black truffle risotto, or meatballs made from vegetable protein. Thai restaurants are generally safe for vegetarians, but Komol has one of the largest selections of vegetarian Asian cuisine in Vegas. Open for 30 years now, Komol serves food that is based on family recipes and is cooked without MSG. 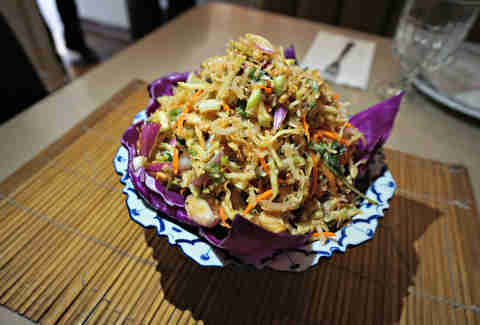 Vegetarian options include pad Thai, spring rolls, fried eggplant, noodle soups, and a wide variety of curry. Wash it down with a sticky-sweet coconut milk iced tea, and finish things off with a dairy-free coconut ice cream for dessert. One of the best places for a vegan to bring non-vegan friends, Nacho Daddy can make anything with tofu or vegan "chick'n" as a meat substitute, including tacos, nachos, and burritos. There's also the Skinny Dip -- a vegan queso dip that was recently added to the menu, as well as salads and vegetable bowls where there isn't a trace of meat to be found. Plans are in the works to add a vegan "steak" to the menu soon, as well. A longtime locals’ favorite for Indian cuisine, Origin India offers a compelling and diverse flavor profile for vegetarians looking to shake things up. The shakahari (or "vegetarian") menu is heavy on vegetables and paneer cheese mixed with spicy and savory sauces. 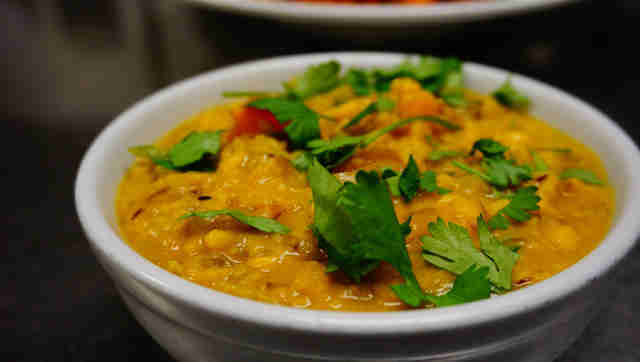 Try the Yellow Daal Tadka, a bowl of lentils with cumin, tomato, onion, and green chilies. 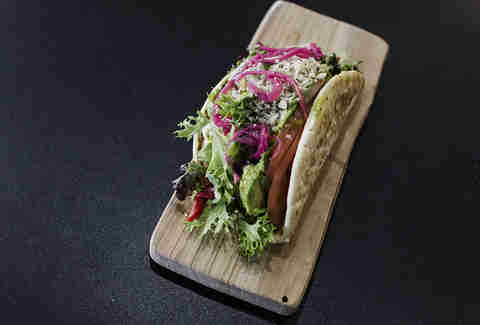 A hot dog joint isn't an obvious spot for people looking to avoid meat, but every option on the menu can be served vegan-style, with franks made from grains, vegetables, and herbs. That's good news, because Cheffini's gets fun and clever with its creations. 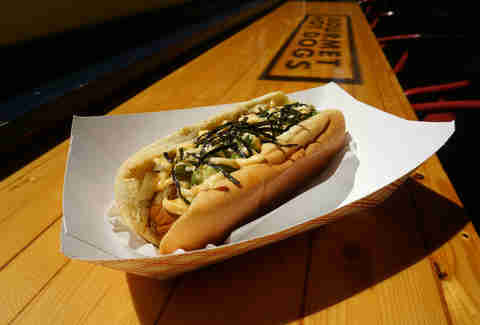 A top choice for vegetarians is the Moshi-Moshi, topped with seaweed, onions, and jalapeños. Even the buns are vegan. Sometimes diners will head around the corner to Simply Pure to track down some vegan cheese for their dogs and fries (but you didn't hear that from us). A healthy meal isn’t really worth enjoying with a healthy dessert to follow. 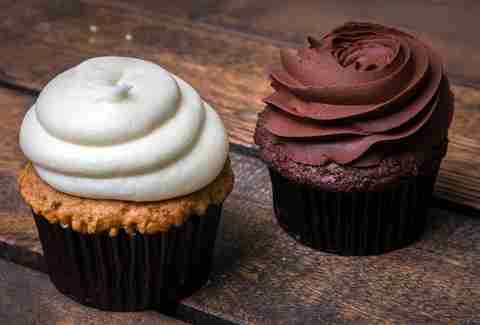 veganbites specializes in cakes, pies, brownies, cookies, and all sorts of sweet treats with natural ingredients -- and no eggs, dairy, chemicals, additives, or artificial sweeteners. The bakery also uses organic coconut palm sugar instead of cane sugar, which is less likely to jack your insulin levels into the stratosphere. Other snacks include date bites, granola, and crackers. Rob Kachelriess has been writing for Thrillist for nearly three years. He brought a pumpkin pie from veganbites to Thanksgiving last year. Follow him on Twitter @rkachelriess.